Marinum is a deserted port city of the country of Taxandria, where Aimé found his father and Time started again 1). According to Mister Bonze it is forbidden to travel to Marinum by the princes. 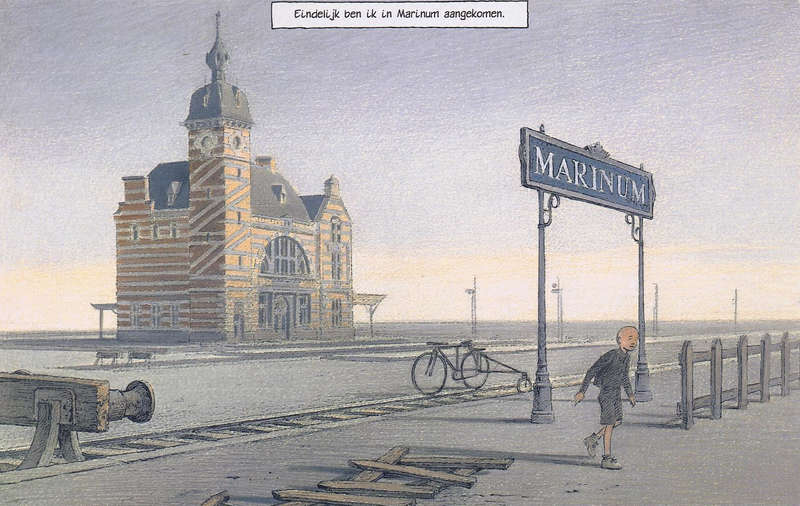 The railway station in Marium looks a lot like the left part of the railway station Schaerbeek in Brussels.